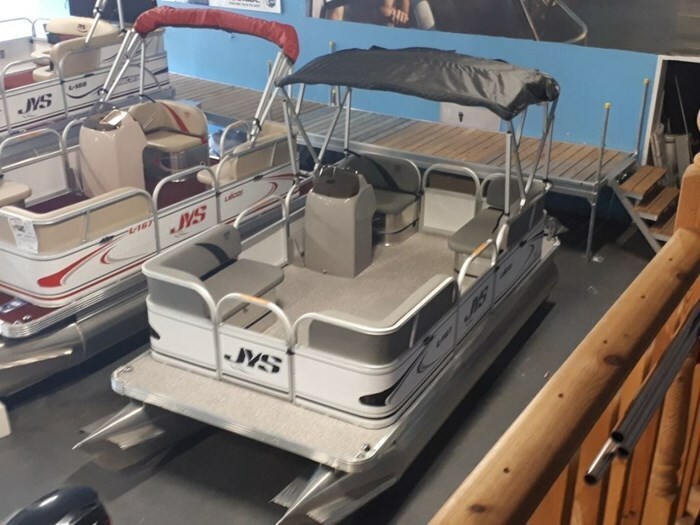 The perfect boat for small lakes or as a water taxi. 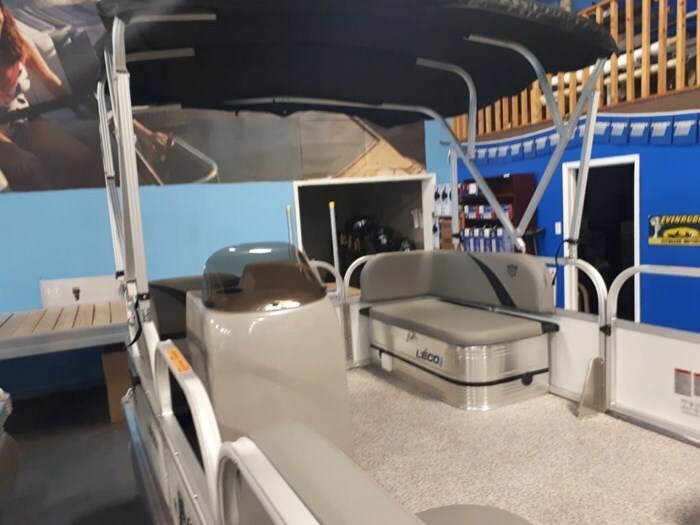 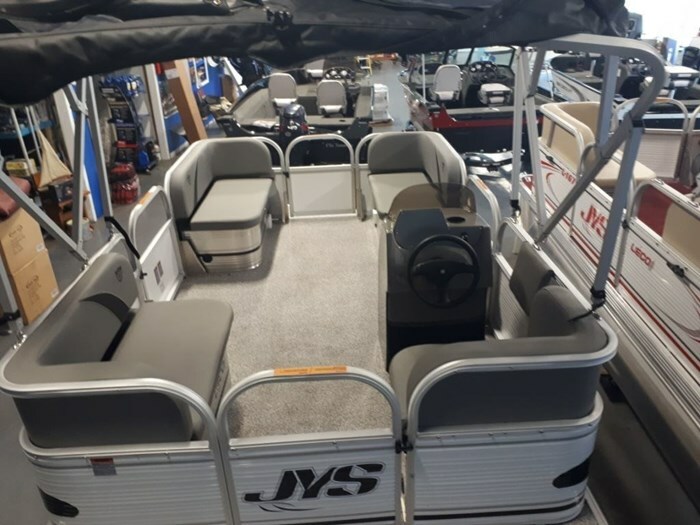 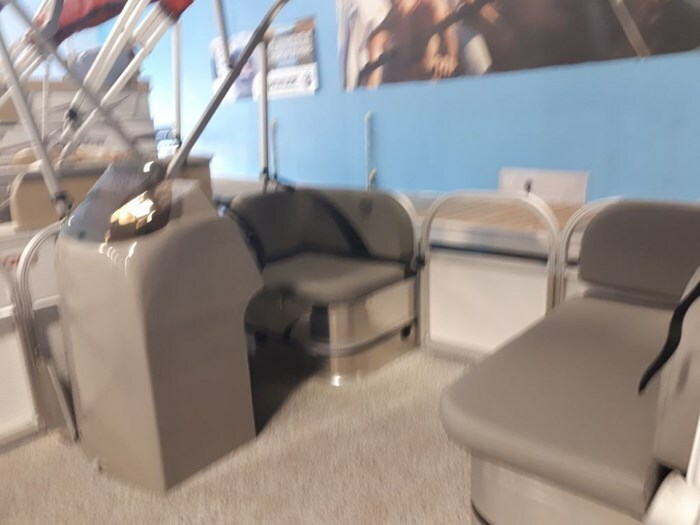 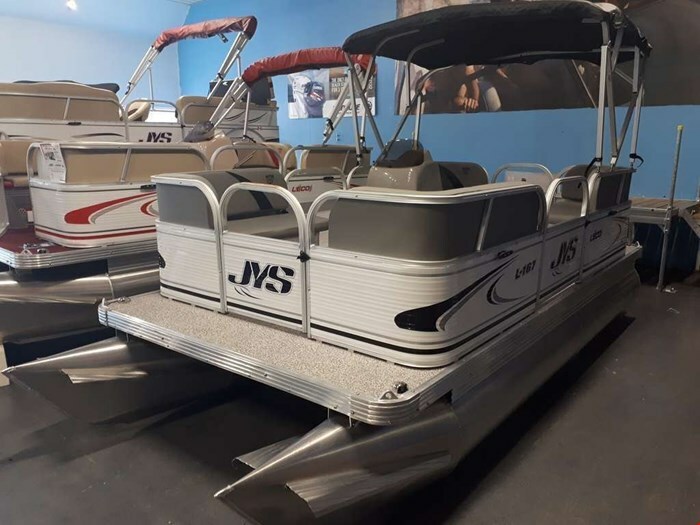 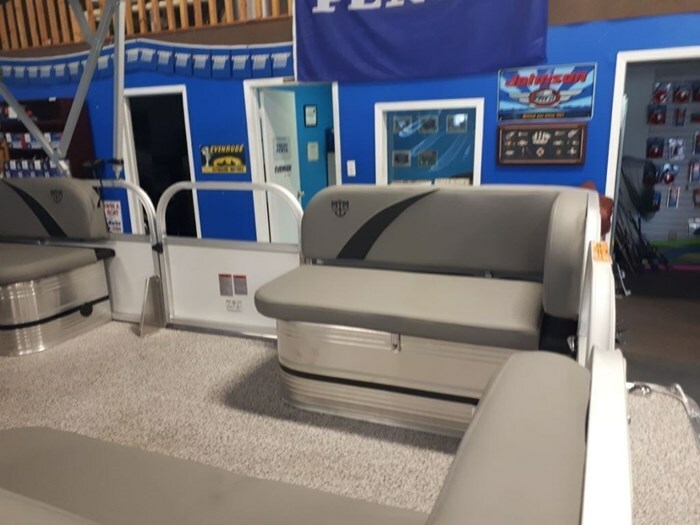 Comes with full aluminum construction, bimini top, trailer, boarding ladder, lockable storage, navigation lights, and a 25hp Evinrude E-TEC with tilt/trim, electric start and auto storage for $17,350 plus HST only! 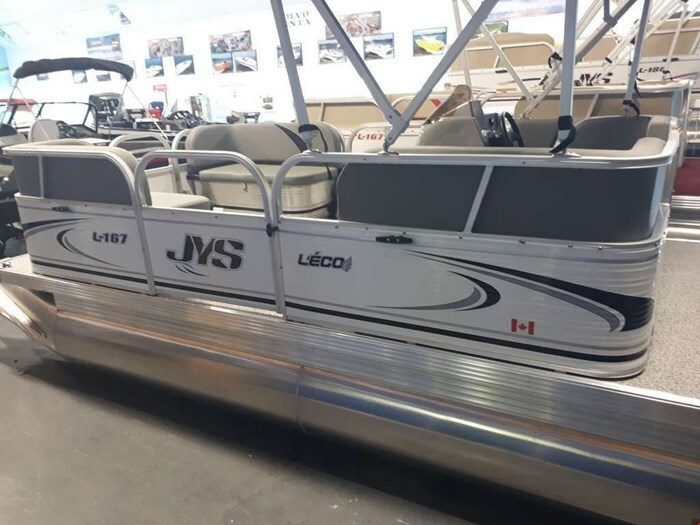 JYS has a 5 year general warranty on the boat, with lifetime on the pontoons. 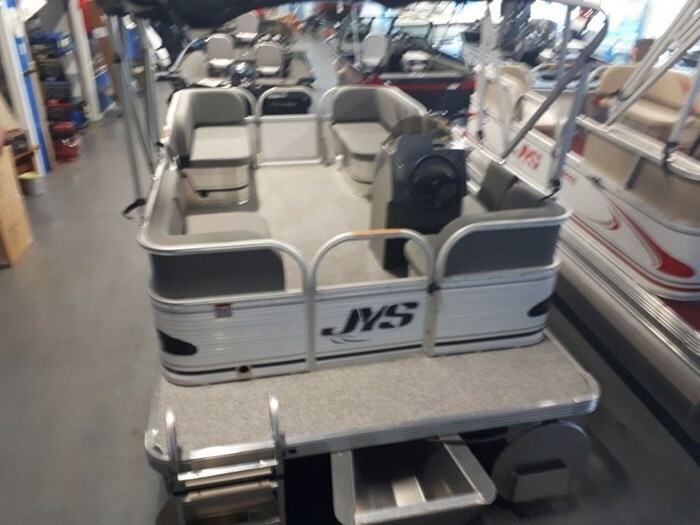 Evinrude has a 5 year engine warranty, with rebates applied to retail price. 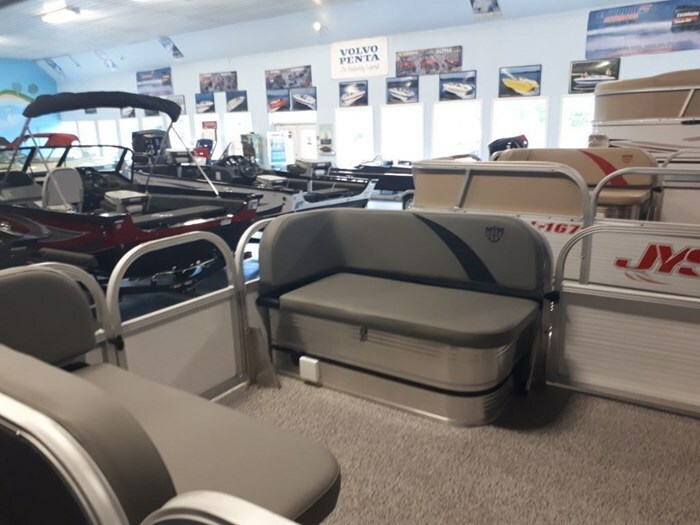 Mike's Marine is proud to be Eastern Canada's largest Evinrude retailer!